The main purpose of this process is to make the rough surface smooth enough for polishing. This means that a high cutting power without any scope for chipping will be an important factor in this process. There are many applications for these grinding tools: chamfering, beveling, surface grinding, and making various kinds of slots and ditches. As the situation demands, there may be several bond types and tools available for different grinding applications. Tools such as drum wheels and vertical wheels are used by comparatively large machines designed for surface grinding. By grinding the surface of work materials like stone or concrete, this tool can control the thickness of the material and planarize it. The size of these grinding tools typically ranges from 100 mm to 400 mm. Chips can be customized according to personal specifications. Usually, after applying such tools, the core will be reused if there are any quality problems. Tools for surface grinding, often known as grinding discs, are usually applied after the coarse grinding process. This process is important because it directly affects the quality of the polishing process that follows this. Producing a fine ground surface before polishing it will be the key to efficient and quality work. The requirements for these grinding discs are mainly cutting power, but the disc also needs to perform without causing any chipping. 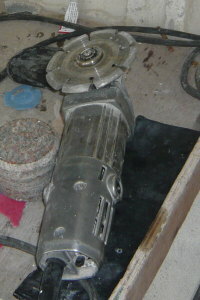 Tools like cup wheels are popular for hand grinder use. These tools can be applied to electric grinders or air grinders usually by the dry process. If you are considering a roughing-out process, single-chip type is recommended. The cutting depth will be larger since this type of chip makes less contact with the work material. 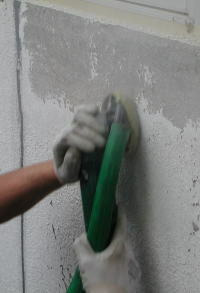 These can also be applied for peeling the surfaces of walls. If you are concerned about chipping, the resin-embedded type will be suitable for the job. Compared to the single-chipped kind, this type has a large contact area while grinding. Embedded resin will ease the vibration and will help avoid chipping. For marble chamfering, electro-plated type will be the ideal choice. If you are performing a task that tends to present a loading problem, then using the electro-plated type might solve the issue since it has the largest protrusion of diamonds. Hand grinders have a wide range of specifications, so selecting the right kind of tools will be a critical issue. If you are seeking out new material that you have never worked with before, feel free to ask us about the recommended tools for the job.